Charity Education International: Since its establishment, CEI has been actively working mainly in northern Bangladesh, in a remote part which until recently used to suffer from seasonal famines, widely known as the 'Monga', often causing days of starvation of the vulnerable people. · To help in promoting poverty alleviation. Since its establishment, CEI has been actively working in a remote part of Northern Bangladesh which until recently used to suffer regularly from a type of seasonal famine widely known as the ‘Monga’, often causing days of starvation of the vulnerable people. In particular, CEI has been supporting various development activities at UttarBangla University College (UUC) which has been helping especially the poor and the needy with educational advancement and skill improvement. Two other projects which CEI has also been supporting are Kakina Rural Health Centre (KRHC) and the Orphans' Welfare and Poverty Alleviation (OWPA) programme. All these three projects are located in northern Bangladesh (at Kakina in Lalmonirhat district). The activities of CEI are carried out by a core group who form the Board Members of the organisation. This is shown in some detail separately under “International Programmes and Links”. Since its inception, CEI has been depending heavily on volunteer support for its office administration and fund-raising, with occasional involvement of part-time paid employees. For over a ten-year period from the late 1990s, Mr George Rawlinson greatly helped in establishing the Charityand also taking an active part in its office administration in the capacity of the founder Secretary of CEI. For over a number of years during 2002-2008 (approx. ), Mr Peter Morrison kindly served (in a voluntary capacity) as the Education Development Officer of CEI and, thanks to his help and support, two highly successful volunteer teaching visits to Uttar Bangla College took place, each visit for about a two-month period: by Ms Sallie Buchanan and Dr Gill Scharer (2002); and Ms Mary Gilles and Ms Norma Smith (2005). Mr. Drew Ritchie (actively helped in resource mobilisation from 2009-2011). Over the last few years, Miss Molly Huq in Glasgow (UK) and Mr Zainal Abedin in Kakina (Bangladesh) have been greatly helping CEI (as volunteers) mainly with office administration and also providing help with website development/maintenance. 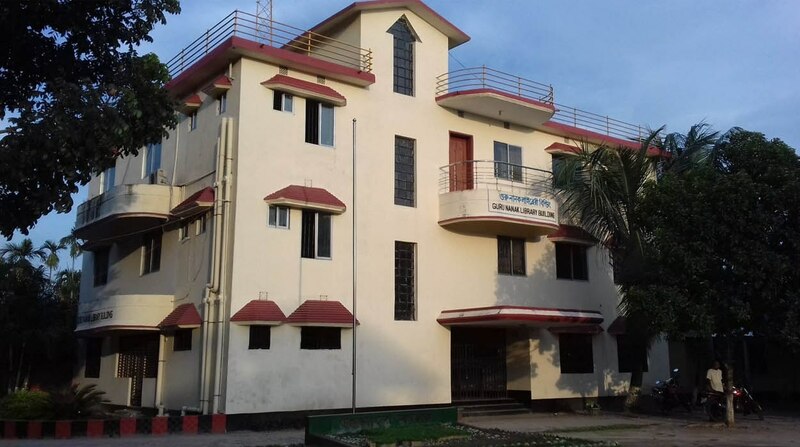 Since its inception, CEI has been actively helping various developments at UttarBangla University College (UUC) especially given our key focus on educational advancement of the people in general and the female and the poor students in particular. Our aim to help the poor people suffering from poverty has also greatly motivated us to support the Kakina Rural Health Centre (KRHC) and the Orphans' Welfare and Poverty Alleviation (OWPA) programme – two other projects which CEI has also been actively supporting. In an attempt to strengthen its close link especially with the wider ethnic minority community in Scotland, CEI has helped to implement the following two local projects (listed below).